Huntington Bailey’s experienced trial attorneys successfully defend litigation matters for several prominent liability insurance carriers. Our firm is also a recognized authority in the field of governmental self-insurance and related defense work. From the moment we take on a case, our team moves on multiple fronts to ensure that every claim is thoroughly investigated, dissected and scrutinized. Armed with the most complete information possible, Huntington Bailey attorneys are highly skilled negotiators. When litigation can’t be avoided, our litigators vigorously represent insurance companies and policyholders in even the most complex litigation. Self-Insurance Counsel. Our firm is an acknowledged expert in the field and has served as general counsel to governmental self-insurance funds for over 20 years. 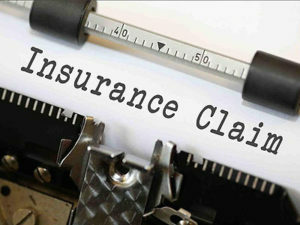 Subrogation Claims. With our deep insurance defense experience, Huntington Bailey is often sought out to litigate insurance subrogation claims for both public and private sector clients. Negotiation & Litigation. We know the insurance defense profession inside and out. That includes knowing how to leverage the powers of negotiation when advisable, and litigation when necessary-an essential balance to protect the interests of carriers and policyholders. Broad-based Experience. Our attorneys have proven experience in defense of personal injury claims, medical malpractice, motor vehicle, premise liability defense, professional liability, product liability and more. Proven Professionalism. Insurance carriers repeatedly turn to us for representation based on our well-established track record of professionalism. This includes timely reporting, meeting internal and court-imposed deadlines, and high praise for preparing and working with insureds. Huntington Bailey’s insurance defense team is the counsel of choice for prominent liability insurance carriers, self-insured entities and other corporate clients seeking top performance and proven expertise.